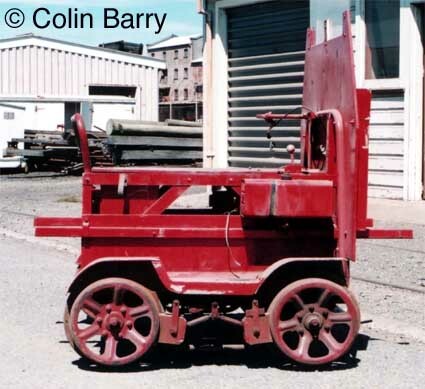 Wickham built around 200 kits of these cars for New Zealand Railways. Yes, it does look surprisingly like a Fairmont, and was probably based on one, most likely an M9, as the design had its origins in around 1935. Not long prior to this, New Zealand Railways had access to two Fairmont cars for trials. These two cars were bought out by Fairmonts' representative company, Baldwin. The first cars to New Zealand were not M19s, but appear to be MM17's - numbered 124500 or so. These were powered by a PHMA, and were significantly different to the M19's. The first kits were not shipped to New Zealand until after the War, arriving in kit form in 1948. NZR imported the motors separately to the order, using a small Briggs and Stratton motor through a small reduction gearbox. This was set up to provide performance working in the optimal engine range of 2500 to 3000r.p.m..
Drive was via a flat belt to the rear axle. A single lever applied the belt in one direction, and the brakes in another. This was supposed to be a slip system similar to a Fairmont, but in reality became a "go" or "no-go" affair. The cars were later modified to have an Albion Gearbox. This apparently improved their performance. NZR also tendered out to other manufacturers over the years, so cars may have been made up of components from other suppliers. It appears that a number of these cars have been privately preserved. Some of the preserved cars have their flat belt drive, whilst others were fitted with the Albion gearbox and chain drive. The car(s) pictured have the NZR Windboard fitted. 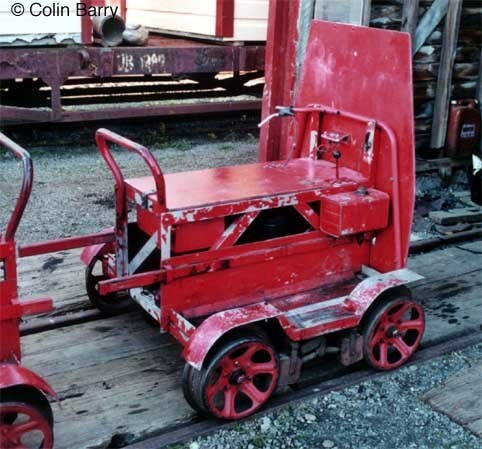 Until 1980, the cars ran with wheels sourced via Wickham. 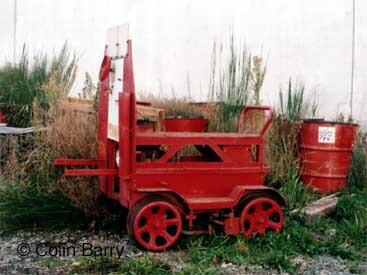 After 1980, NZR used Fairmonts' standard 14" pressed steel wheel. The change was forced by Wickham as it stopped supplying wheels, as the quantities it bought from its UK supplier, Sankey, where limited and did not justify investment needed for quality improvements. Some cars still have Wickham wheels. The Lightweights had similar problems to the Type Fours, as their bearing housings were also prone to cracking and failure. 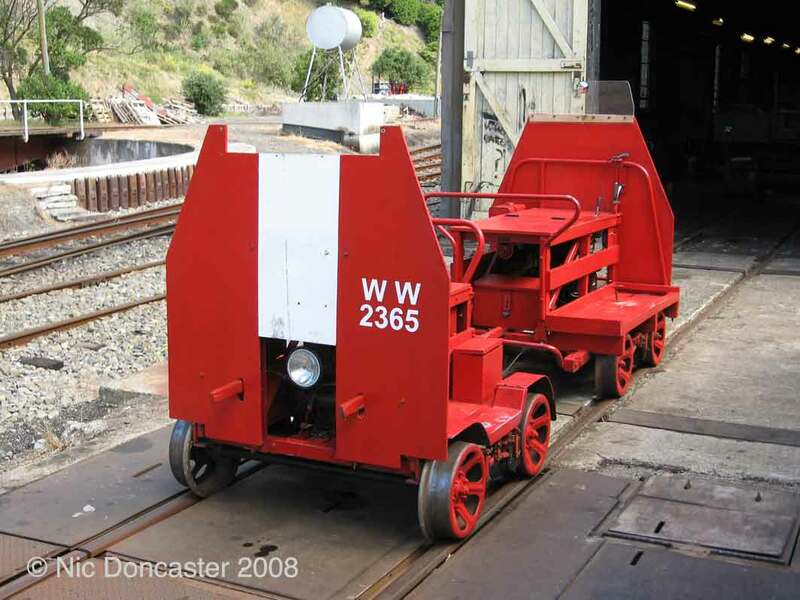 Wickham used the design, however, and marketed it as the 1Z "lightweight" two man car. They saw the opportunity, particularly for a lightweight car that could be sold in kit form, bolted together by the railways own workshops. They marketed the car, selling a couple to the 30' North Borneo Railway in 1961, as well as one on the standard gauge to the London Underground. The car became a popular seller in the UK and to Wickhams many foreign clients. Queensland Rail took delivery of 23 cars between 1962 and 1964. The first two delivered came with a BSA 120 series motor, whilst the rest came with a Briggs and Stratton 6hp unit. These were assembled by MIP, and were allocated builders numbers by Wickham. None of the Queensland cars are known to survive. These cars have been modified from original. The small lever next to the fuel tank is for the Albion Gearbox. the Clutch lever is on the opposite side of the car. A 1Z in more or less original form can be seen here. This is a variation - WW6680 Car located at Oamaru on South Island.